The inhabitants of Illyria really know how to get into trouble. In fact, they do it in style: Mistaken identities. Malicious tricks. Tangled love affairs. 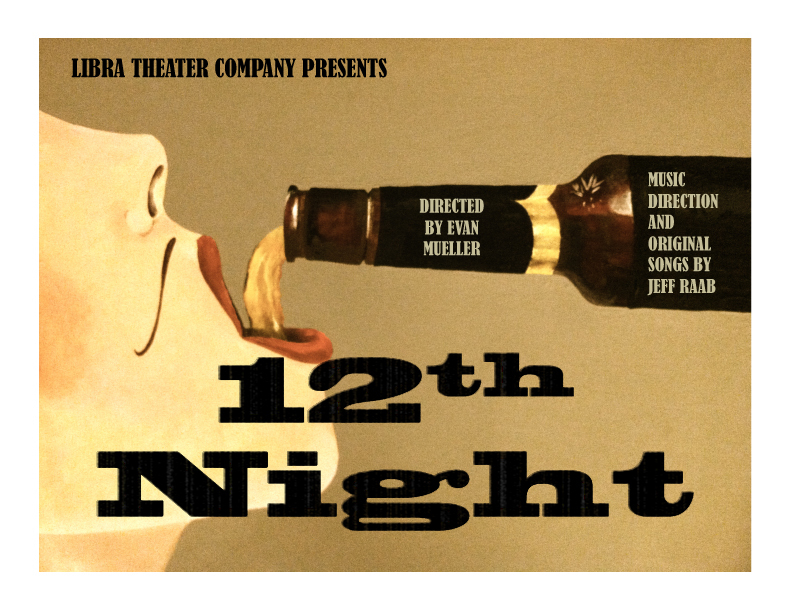 And when Libra Theater Company overtakes the Underground Lounge for the uproarious romantic comedy 12th Night, you’ll get to see all the trouble close up at a bar party filled with drinking, music, and good-natured fun. "You'll find yourself tapping your toe in your seat and maybe even suppressing the urge to do a little jig." 12th Night is the winner of a New York Innovative Theatre Award for "Outstanding Original Music" for Jeff Raab. Visit www.nyitawards.com for more info! 12th Night was an AEA approved showcase.